In recent years, outdoor advertising has grown significantly as a potent medium and has been projected to increase by a CAGR of 5.75% by 2018. Further reports presented by Outdoor Media Association in 2014 showed that OOH industry’s net revenue has increased by 7% within 12 months. ATLANTA, Ga. (September,2014) Boardworks, Atlanta’s Premier Boutique Billboard Company announces that starting Monday, 29th, September, every month one Atlanta area 501c3 Non-Profit organization will win a one week Public Service Announcement (PSA) on a State of the Art Digital Billboard reaching over 250,000 drivers daily. The 2015 OBIE Awards are now open for submission. The hunt has begun for the elusive OBIE Award, out of home advertising’s highest creative honor. Only those deemed worthy will find it. Will you be among them? One intrepid treasure hunter kept a record of his lifelong search for the OBIE. 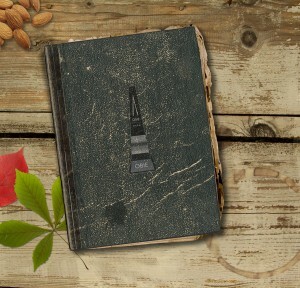 Click here to see an excerpt from his travel journal. The 2015 OBIE Awards are open to all OOH campaigns posted in the 2014 calendar year which have not been entered in any previous OBIE Awards program. Review the complete Call for Entry guidelines here. The submission deadline is Monday, December 15, 2014. If you have any questions about the OBIE Awards program, please contact Makeda Kefale at mkefale@oaaa.org. 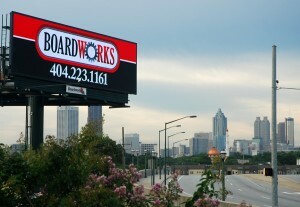 Imagine scoring a perfect billboard location on the side of a high-traffic street, no obstructions, and tons of stop-and-go traffic throughout the day. You’ve invested in a professional designer – even though it was pricey – you feel it’ll be worth it because of all the new customers you’ll get from your ad. You get a call from the outdoor company, telling you the ad has been posted, so you grab your keys and head over to see your beautiful new billboard right away. As you drive, you get that thrilling feeling of excitement, anticipating seeing your logo posted up high for all the world to see, and look forward to the influx of customers your ad is going to bring you.